Mike O&apos;Donnell of Methuen dominated the Eastern Mass. cross-country scene. O’Donnell is the first Merrimack Valley Conference runner to win the league championship and MVC Runner of the Year honors in successive years. He won the EMass Division 1 race (15:27.1), was the Division 1 All-State runner-up (15:41.92), and holds his home-course record. 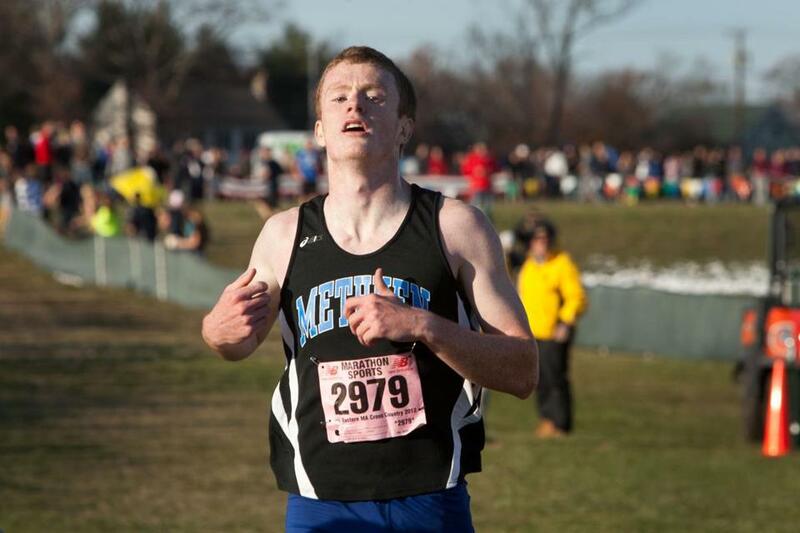 The Division 4 EMass champion (15:31.5), Hogan set a home-course record of 14:07 this season. He returns for his senior season hoping of topping runner-up finishes in the Division 2 All-State race (16:03.34) and in the Middlesex League meet (12:16). He also was second at the Bay State Invitational. Adams finished his Middlesex League career as conference champion. The Minuteman placed fourth in the Division 1 All-State meet after coming in second at the EMass meet. The National Honor Society member also qualified for Nike Nationals for the second consecutive year. The indoor Division 4 mile champion won the Bay State Invitational in 16:20.4 to help the Clippers to a second-place team finish. He also took home the top spot in the Frank Kelley Invitational Division 2 race (15:56.0) and was seventh in the Division 2 All-State (16:28.22). Coppinger’s 13th-place finish (16:30.70) at the All-State meet helped the Red Raiders win the team title after a second-place team finish in 2011. He took third place (15:48.2) in the EMass Division 1 race. He finished his high school career with a runner-up finish (16:03) at the MVC meet. An undefeated Hockomock season led Gonser to be named the league MVP. He took second in the EMass Division 3 race (15:51.7) and at the Bob McIntyre Twilight Meet (15:50.2) in Barnstable. His 16:30.12 finish was good for 12th in the Division 1 All-State meet. The Northeastern Conference champion and MVP won the EMass Division 5 title in 15:46.7 and wrapped up his high school cross-country career by finishing sixth in the Division 2 All-State meet (16:26.19). He also runs indoor and outdoor track, where he was the EMass Division 2 2-mile indoor champion last season. Herzig won the Dual County League meet and the Small Division at the Bob McIntyre Twilight Invitational (15:48.3). He capped his cross-country career with a third-place finish in the Division 2 All-State race (16:11.78). The National Honor Society member holds Weston’s indoor 2-mile record. The 2012 Division 2 indoor 2-mile state champion continued leaving runners in his tracks, winning the EMass Division 3 race in 15:46.3. At All-States, McDonald Meteer finished seventh (16:16.89). He has maintained a 3.8 GPA through high school. After winning the Bob McIntyre Twilight Meet in 15:49.4, Parsley completed his senior season with a fifth-place finish (16:01.6) in the EMass Division 1 race. At All-States, the Wildcat clocked a 16:15.64 for sixth place. He was also the Bay State Invitational runner-up (15:59). For the second consecutive year Randon earned ISL MVP honors. He broke the course record at Nobles in the championship meet and ended his career with a two-year undefeated streak. His efforts helped lead the team to ISL and New England championships this year. The undefeated champion of the MBIL, Rubin won all six races he entered, including the league meet. 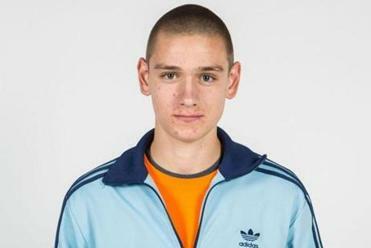 He was the only runner who finished in under 19 minutes in every race this season. He is also an AP Scholar. Stafford placed third (15:46.6) in the EMass Division 4 Championship before taking fourth in the Division 2 All-State race (16:20.18). Last year, he placed 80th at the Nike Nationals. He is a member of the National Honor Society and also runs indoor and outdoor track. In his first varsity season, Stubbs left a lasting impression when he took the top spot in the Division 2 EMass race (15:59.9). His 16:29.27 effort was good for 11th in the Division 1 All-State meet. Stubbs placed second in the freshmen division of the Frank Kelley Invitational. He and teammate Stafford helped lead the Titans to the Division 2 All-State title. Valeri finished in fifth, right nehind Stafford, at the All-States (16:20.5). His second-place finish (15:45.4) in the EMass Division 4 race led Pembroke to the team title. He also is a two-time Nike Cross National qualifier. The Concord Academy senior made it a clean sweep this fall, with his fourth straight EIL All-Star recognition. The EIL champion, Whitehead is also a three time All-New England runner and the school record holder in the 5k. He also runs outdoor track. Wiggins reset Norwell’s home-course record and won the EMass Division 6 meet (16:26.1) in closing out his high school cross-country career. His 16:37.46 was good for eighth in the All-State Division 2 race. The National Honor Society member plans to continue running in college. In his 25th season as head coach, Maia led Lowell - his alma mater - to its first All-State title with 96 points, easily besting runner-up Westfield’s 149. Maia also was inducted into the MSTCA Hall of Fame, with a career mark of 339-102-8. In his eighth season, Zopatti led the Titans to a 10-0 finish, the EMass Division 4 title, and capped the year with the Division 2 All-State championship. It was the fifth straight EMass title and third All-State title in four years. Atlantic Coast — Dennis-Yarmouth: Keith Barnatchez, Collin Merrill. Marshfield: Craig Dicesare, Mike Tautiva. Nauset: Andrew Burke. Plymouth North: Cody Farragher, Kevin McNeely. Plymouth South: Max Bassett, Jason McCue. Sandwich: Jake Barry, Henry Daniels-Koch, Conor Guerin, James Silverman, James Wegman. Bay State — Brookline: Ezra Coopersmith, Jason Fajnzylber, Aaron Klein, Jake Simon. Framingham: Brian Gilligan. Milton: Nick Orlando. Needham: Adrian Amaya, Tyler Hagen. Newton North: Jared Freedman, Jon Long, Gabe Montague, Mike Schlichting. Walpole: Sean Herlihy. Wellesley: Christian Freniere, Ben Griswold, Dan Palladino. Weymouth: Jake Jensen, Matt Murphy, Nolan Parsley. Big Three — Brockton: John Burns, Jacob Hume, Laban Mohammed. Durfee: Nyrel Stroup, Chris Whitty. Catholic Central — Archbishop Williams: Rich McAllister, Jay Mobilia, Liam Rose, Carter Solis. Arlington Catholic: Kevin Connors. Bishop Fenwick: Daniel Deschenes, Bryan Mendes. Cardinal Spellman: Conor Bergin, Chris Campbell, Ben Gordon, Matt Norton, Ben Williams. Lowell Catholic: Dylan Cullen, Brian Peterson. Marian: Nick Seymour, Chan Yoon. Matignon: Matt White. Catholic Conference — BC High: Noel Feeney, Mike Flaherty, Brent Kelley, Tom O’Donnell, Ian O’Leary. Catholic Memorial: Ryan Reid. Malden Catholic: Joe Brunco. St. John’s Prep: Liam Dow, Tim Loehner, Brendan Massey, Colin Monahan, Tom O’Shea, Nick Secteau. Xaverian: Eric Bacchas, Mitch Harmon, Tim Keohane, Rob Marcantonio, Lucas Taxter. Dual County — Acton-Boxborough: Matt Bullock, Tim Cox, Gabe Kline. Bedford: Samuel Bradford. Boston Latin: Mike Ward. Concord-Carlisle: Brian Rich. Lincoln-Sudbury: Eli Hoenig, Josh Kerber, Tim Orie. Newton South: Allen Shiu. Westford: Dillon McGee, Scott Penfield, Patrick Turpin. Weston: Mathew Herzig. Eastern Athletic — Bishop Feehan: John Conor Dean, Alexander Conway, Henry Dodge, Evan Grandfield, Michael Hanley. Coyle & Cassidy: Paul Lapre, Andrew McCluskey. Martha’s Vineyard: Jeremy Alley-Tater, Cooper Chapman, Michael Schroeder. EIL — Bancroft: Gavin Fujimori. Beaver Country Day: Joe Connelly, George Wright. Berwick: Aidan Cookson. Concord Academy: Jack Colton, Isaac Levine, Finn Pounds, Arthur Whitehead. Pingree: Brian Hodlin, Evan Maravelis, Carmine Piantedosi, Kyle Skelton. Greater Boston — Cambridge: Esu Alemseged, Daniel Aschale, Niko Emack-Bazelais, Nahom Ghile, Danny Gould, Sam Ingersol, David Kibazo, Michael Scarlett, Sam Stubbs. Malden: Berhanu Tsige. Somerville: Ngawang Tsering. Hockomock — King Philip: Austin Gatcomb, Owen Gonser. Mansfield: Dan Caughey, Mike Duggan, Val Madonna-Lendvai, Dan Romano. North Attleborough: Ian Flanagan. Oliver Ames: Connor Donovan, Cameron Gardener, Dan Moverman. Sharon: Paul Fleming, Adam Selsman. Taunton: Andrew Doherty, Jason Henrich. ISL — Belmont Hill: Thomas Gill, Ian Meyer. Governor’s Academy: Ej Connor, McLean Sherrin. Middlesex: Viraj Deokar, Peter Howe, Garrett O’Toole, James Randon. Milton Academy: Benjamin Bosworth, Michael Durkin, Adam Rochelle. Roxbury Latin: Joey Mullen. St. Mark’s: Eric Danielson, William Lyons. St. Paul’s: Marc Roy. MBIL — Brimmer & May: Kyle Anderson, Ryan Coughlin, Raymond Ma, Houghton Yonge. Cambridge Weston: Joey Boots-Ebenfield. Commonwealth: Dan Rubin. Gann Academy: Noah Bernays, Mike Zanger-Tishler. Mayflower — Bishop Connolly: Ian Cheney, Brendan Sasse. Diman: Tevin Cintron. Norfolk Aggie: Christopher Brandon, Philip Jewers, Jake MacVarish. Old Colony: Ryan Stopka. Southeastern: Edwy Mascoll. Tri-County: Andrew Kerr. Upper Cape: Doug Cleary, Jacob Starck. West Bridgewater: Shane Healy, Adam Petti, Joey Souza. Merrimack Valley — Billerica: Scott Aresenault, Allison Carbone, P.J. Garmon, Brendan Knickle, Joey Schultz. Chelmsford: Quinn Cooney, Dan Nolan. Lowell: John Abraham, Patrick Coppinger, Michael Kalenoski, Nick McArdle, Randy Nong. Methuen: Matt Marchand, Michael O’Donnell. Tewksbury: Brian Amaral, Cory Thomas. Middlesex (Freedom) — Burlington: Paul Hogan. Melrose: Andrew Driscoll, Christian Gentile. Wakefield: Jared Geller, Aaron Lucci, Chris McNall, Mike Sheehan. Wilmington: Eric Alatalo, Steve Halas, Andrew Sears. Middlesex (Liberty) — Arlington: Dan McDonald Meteer, Antonio Xelhua. Belmont: Lewis Stilletto. Lexington: Nathaniel Adams, Felix Cancre, Felix Chung, Ben Jacobsen, Ben Martel. Reading: Justin Halley. Winchester: Pat Franco. Woburn: Dylan Crowley. Northeastern — Beverly: Michael Black, Alex Greco, Michael Scott, Campbell Wood. Danvers: James Bailey. Gloucester: Matt Ciaramitaro, Everest Crawford, Jacob Holscher, Noah Mondello, Willie Pierce. Lynn English: Alex Bonitto. Marblehead: Nick Carr, AJ Ernst, Nate Fowler, John Howard, Adam Linsky, Chris Rodts. Peabody: Ben Braz, James Christopher, Drew Fossa, Richie Fournier, Cody Jordan, Alex Marcus, Cody Picardy. Revere: Abd Karim Shaila, Kristi Nushi. Salem: Aiden Scrimgeour. Saugus: Kevin Powers. Swampscott: Samuel Crimmins, Peter Hale, Matthew Mahoney. Winthrop: Brian Manning. Patriot — Hingham: Colin Loughin, Sam Mildrum, Corbin Robichaud, Collin Wilkinson. North Quincy: Mike Mullaney Quincy: , Brendan Cunningham. Pembroke: Alex Bowler, Pat Cunningham, Christian Stafford, William Stafford, Lucas Tocher, John Valeri. Silver Lake: Derik Noland, Tyler Stafford. Whitman-Hanson: Patrick Mulrey, Brian Sheppard, Nathan Stephansky. South Coast — Greater New Bedford: Melissa Bellefuille, Andrew Gonsalves, Paolo Tavares. South Shore — Abington: Bobby Derbes, Ben Rangel, Jimmy White. Carver: Sam Estes, Dan Flockton. East Bridgewater: Nick Frazier, Brett Jutras, Tanner Picklus, Rob Simpson. Cohasset: Nick Cimetti, Julien Geyer. Monomoy: Kyle Bessette, Ryan Richer, David Sherman, Troy Sherman. Norwell: Tom Hayes, Tom Vafiades, Oliver Wallace, Owen Wiggins. Rockland: Mark Ewell, Justin Kinan, Jon Turner, Ian Welch.